We have reached the end of another week and I'm not going to lie, I am so excited for the weekend and sleep! 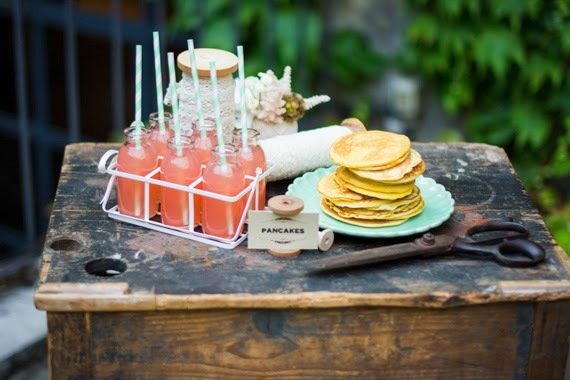 But before I head off to bed, I wanted to share my five favorite wedding goodies from around the world of the internet! These are the blog posts/ideas/products that caught my attention this week! I will admit to being a total Bachelor fan. I, like many, was not super impressed with this season, but that didn't keep me from watching every single episode. If you want to check out winner Nikki's boudoir session, it was featured this week on Style Me Pretty. Will Nikki and Juan Pablo make it to the altar? Probably not, but at least she got some good pictures out of the deal! Over at one of my fave blogs, Budget Fairy Tale, Mindy shared the new swag bag items gifted to couples tying the knot at the Disneyland resort. 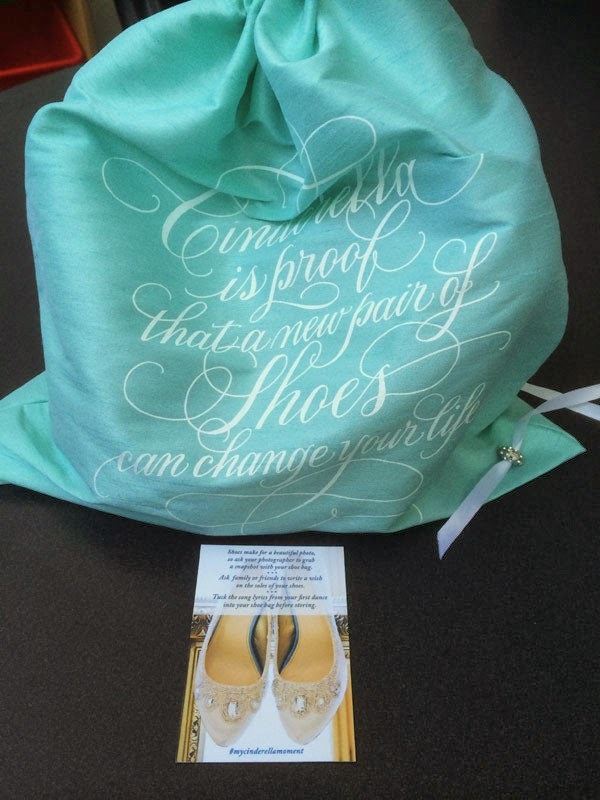 I love this shoe bag with the quote, "Cinderella is proof that a new pair of shoes can change your life." So true! I absolutely loved this bridal shower, inspired by sewing and crafting, featured over at 100 Layer Cake. All of the details are so well thought out and adorable. 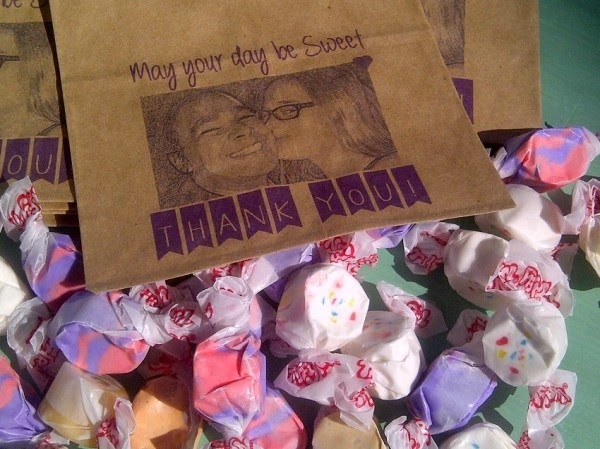 The tutorial for these DIY treat bags can be found over at Budget Savvy Bride. I love the look and the project seems super simple and easy to create! 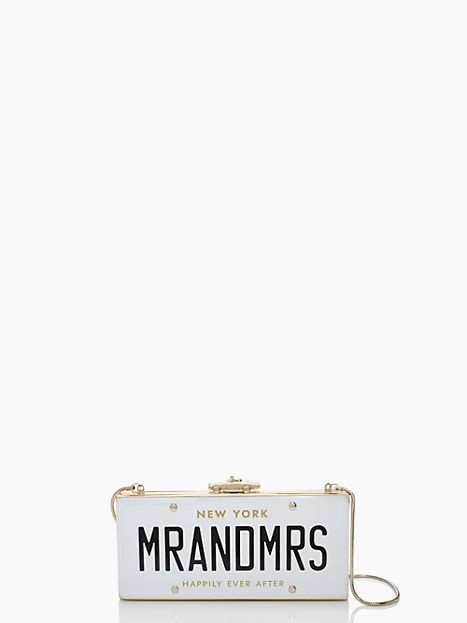 And finally, if you haven't heard, Kate Spade has some awesome new bridal products out there, like this awesome license plate clutch. I wish I had an excuse to buy one! Hope you all had a great week, now go enjoy your weekend!